Actors, artists and community members. Hope you are taking an inventory of all the good things you've learned and achieved this year. It is so important to count your blessings and think positive. It has been a good year for more inclusion of Latinos in film, television and theater. We still have a long way to go but it is good to see more involvement going on with regards to casting. Be ready for next year everyone, stay focused and remember why you are an artist... to touch lives, to represent humanity and because you love to create. Also, dream big and go ahead... it's okay to seek out that glorious fame and fortune (although material gain should not be your primary focus), be ready to work for it and to do good with it if it happens. When you do get a part, be grateful and count your blessings. Be ready to be a leader and lift everybody up with you. We are a small community in actuality and we need to make the most of our times! Remember not to take rejection to heart, just focus on doing great in auditions. Everybody knows not always the best actor gets the job– it's about chemistry, sometimes that director has to recognize what you can bring and at times he/she may not. If you feel you are not auditioning well then keep practicing, studying and digging deep inside, you'll find your voice. Do not lose your charisma, passion or drive for what you love... treat it well with respect and love. Now if anybody around you can't show proper support or an encouraging word, avoid them if possible and be strong, for they secretly are in awe of your bravery. Although I don't know you all personally, I love you and send you many many blessings for this coming year. Finish your projects and ideas! Be safe, exercise, treat your bodies better and may there be tons of big productions involving Latinos all over the place this coming year! Renoly Santiago was born in Lajas, Puerto Rico and he spent his childhood in Union City, New Jersey. He currently resides in New York City. He made his film debut co-starring in the blockbuster hit Dangerous Minds alongside Michelle Pfeiffer. Other film credits include Hackers with Angelina Jolie, Daylight with Sylvester Stallone, and Con Air with Nicolas Cage and John Malkovich; and the indie films Punks (Sundance Film Festival selection), The Street King, Just Another Romantic Wrestling Comedy and Lavoe: The Untold Story (where he played Latin music legend Johnny Pacheco). Among his episodic television appearances are guest leads in "Law & Order: Criminal Intent", "Touched by an Angel", "Big Apple" and "Stand Up". He was nominated for a Drama Desk Award by the press as Outstanding Featured Performer in a Musical in his Broadway debut The Capeman, composed by Paul Simon, and in which he starred alongside Marc Anthony, Ednita Nazario and Rubén Blades. He has appeared in many off-Broadway productions under such notable directors as Liz Swados in Lincoln Center and in workshops with Graciela Daniele in Blood Wedding and Gabriel Barre in the Kander & Ebb musical Skin of Our Teeth with Audra McDonald and Sara Ramirez. His writing credits include the Emmy-nominated television series "City Kids", in which he was also a lead character and the book to the musical Bring in the Morning… A Wake-Up Call at the Apollo Theater in Harlem, New York starring Lauryn Hill. As a singer, he can be heard singing backup for recording artist India on her album Latin Songbird, duetting with Danny Rivera and Marc Anthony amongst others, having performed with many artists of international renown. 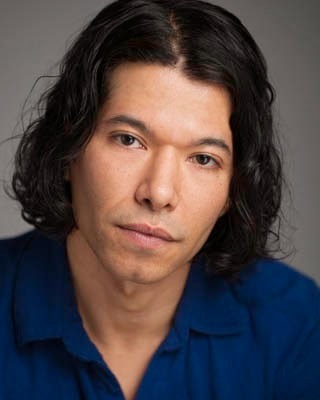 He is currently developing new acting, writing and production ventures across some exciting genres at home and abroad, also community arts projects. He is writing new songs in English and Spanish and is presently recording music for his debut album.